Erna Aaltonen (Personal show 2016). Pekka Paikkari (1960) is one of the most important modernisers of Finnish ceramic art. The invention of pottery is an integral aspect of the birth of civilisation. In a quite exceptional way he has bridged the gap between traditional handicrafts, design and free art. He is known for his versatile utility ware and for his unique works, as well as for his numerous monumental sculptures for public spaces. 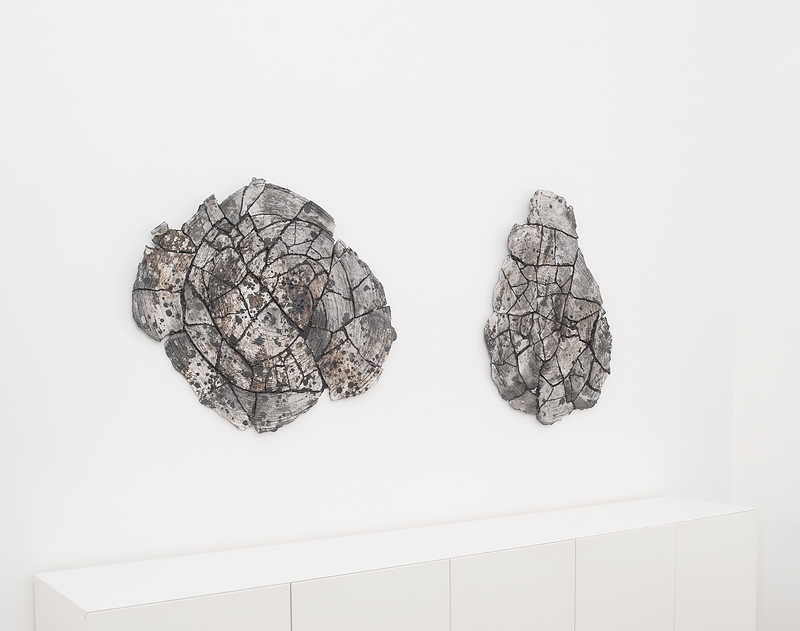 Paikkari has made a thorough study of the technical properties of clay and uses it in quite surprising ways. He has, for instance, developed a unique technique for drying clay. 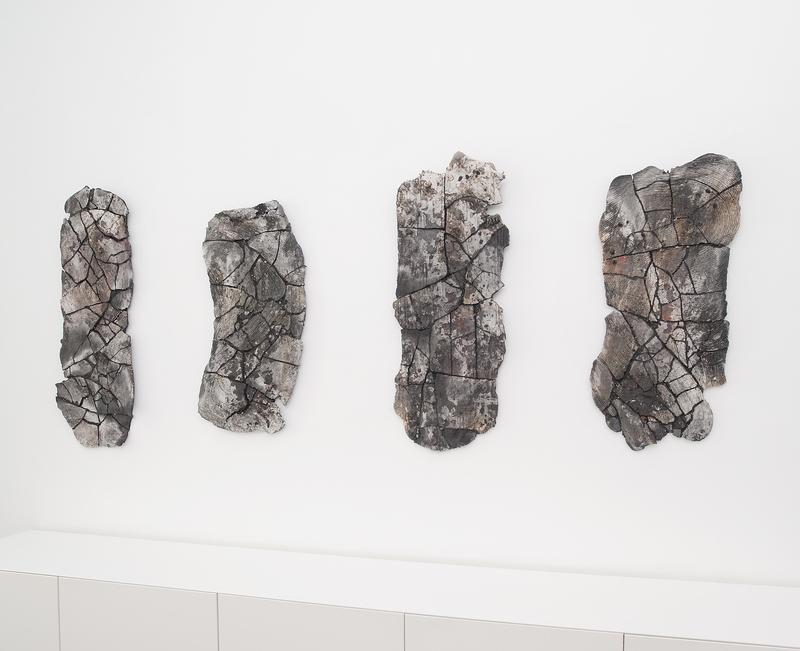 Although the web-like, fractured surface of dried clay is the outcome of a natural process, the artist controls it in order to obtain the desired pattern. Only then are the clay elements fired in the kiln. The process could be described as a controlled accident. Many of his monumental works consist of pots and bricks in addition to clay tiles. These convey the impression of a long time process, almost as if we were witnessing an archaeological find. The word handicraft means applying the sense of touch to materials and in Paikkari’s case it means leaving the marks of hands and tools on his clay, bringing the act of creation closer to the observer. Pekka Paikkari is internationally recognized and his works are found in the Victoria & Albert Museum in London, the Ceramics Museum of Barcelona and the Shigaraki Museum of Contemporary Ceramic Art in Japan.